My next book signing event!! Please join Kelly for this special event! Hello, everyone! I wanted to take a minute during this wonderfully hectic time of year to give you a quick update. My book is doing well–although of course I wish it was doing even better (don’t all writers wish for that?). And, I have another signing scheduled for mid-January. Thank you to all of my family, friends, and readers out there, for your support and encouragement! You’ve been such a blessing to me, and I look forward to seeing where the coming year takes us! I’m so excited to share with you that I’ve been invited to work with several schools, churches, and fundraisers to promote my book! These inquiries have been made by three separate individuals–unrelated to one another–and I’m thrilled with the possibility! We’re still in the conversation stage, but I wanted to let you know, so that you might join me in prayer regarding these opportunities. I’m not a public speaker, but I may have to learn to give short talks to classes or small groups. Pray that I can articulate the things I need to share in a manner which is beneficial to the audience, as well as to my endeavor! I’ll keep you posted as to whether any or all of these possible venues come to fruition! I had another great book signing event while in Missouri–at Christian Publishers Outlet in Springfield! Thank you to everyone who came out and supported me! So many of you already own copies of the book, but you came to encourage me, anyway! What a blessing! 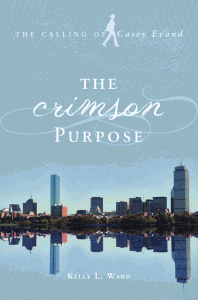 Now, I’m back in Boston, trying to secure some more book events for the fall months! I’ll keep you posted! God Bless you! Last weekend, a Springfield, MO bookstore hosted me for a booksigning! It was such a great time! Thank you to everyone who came to ABC Books and helped to make my first MO-based event such a memorable one! This Saturday, I’ll be at another great bookstore in the Springfield Area–CPO (Christian Publishers Outlet). Please come and visit with myself and my family!! 11am to 2pm at CPO!! I’m at the phase in this process where book signings are being scheduled! I was able to participate in a signing this past weekend–and I have to admit, it wasn’t as intimidating as I had expected! It was actually a lot of fun, and I was able to speak with a lot of people about my book! I have at least one book signing event coming up this July, in Springfield, Missouri! It’ll be great visiting my home town, and talking with them about this exciting new venture. More information to come!! The Book Trailer Is Here!! It’s been quite a process, and it’s not over! Now that the book is finished and has been circulating among a limited audience by way of pre-release sales, it’s time for the next step! The book is now available through multiple vendors and outlets! I’m so excited! While I understand that it will likely not be stocked on the shelves in the most well-known bookstores–at least not at this stage, as I’m new to the market–I’m thrilled that they will nonetheless offer the book. The possible added exposure to my audience is such a blessing to me! The most intimidating part of this adventure is on the horizon, however, as the book signings are being negotiated and scheduled! 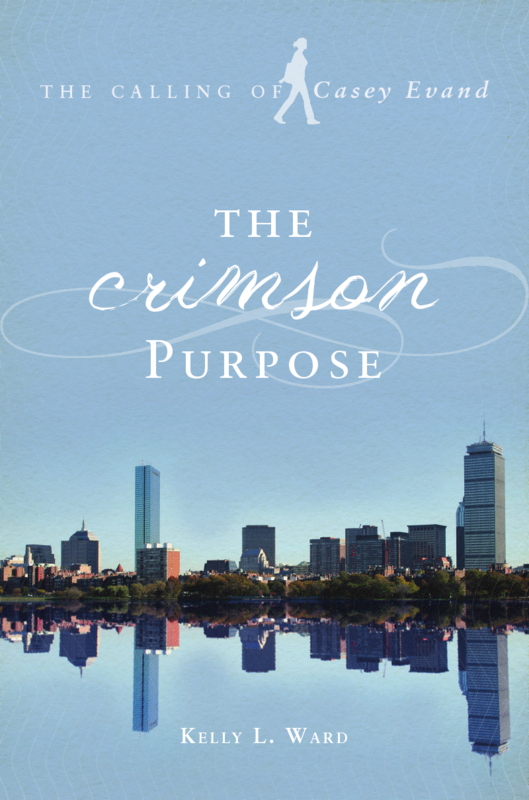 For those of you who have read and enjoyed The Crimson Purpose, this first installment of The Calling of Casey Evand series, please tell your friends! The sooner this one takes off, the sooner I’ll be afforded the opportunity to offer the second book! So, this week, I received a hardcopy version of my book–for final approval and any last minute tweaks in the grammar and layout. Words cannot describe how thrilling and humbling and amazing it was to pull my book out of that package! So cool! Needless to say, I cried! There’s not much else to tell at this point, but I just wanted to share this little moment with you! I have one month to peruse this book, and then, after all the corrections are made, it goes to final print!! Thanks for sticking with me on this journey!! Here it is! Amber at Tate Publishing did an incredible job of listening to me–my vision of the book, the plight and journey of the main character, and recurring themes throughout the story. She asked several follow-up questions, looking at the story from many different angles. After some time, she sent me several options. They were all good, but one stood out from the others. At Amber’s suggestion, I prayed about it over the weekend. I shared with her a few of my concerns, and by the following day, she had addressed them. This final cover design is not one of the original options. Amber received my feedback, and incorporated the strengths of each of the possibilities. This is the result. All I can say is that, so far, the publishing process has been amazing! I know the most difficult part is not too far ahead–marketing an unknown author–but if my experience to date is anything to go by, Tate will come through on that, too! First, it’s time for layout design! Thank you for continuing on this journey with me, and I’ll keep you posted!